The Arab e-content Award promotes progressive e-content in 8 categories – but only from the Arab speaking world. Celebrating Diversity: this is not only the motto of the World Summit Award, which will acclaim it’s 40 winners in a few weeks in Sri Lanka, but also of the Arab e-Content Award of 2013. Like the WSA, the Arab e-content Award promotes progressive e-content in 8 categories – but only from the Arab speaking world! Our Grand Jury carefully checked the numerous contestants alongside the the World Summit Award Nominees during our time in Tallinn/Estonia at the end of August. PresentationTube Network offers a free video presentation recorder (for Windows) and online network to help teachers and learners in Egypt produce, upload and share quality digital video content in a new and effective way. The recording application is easy-to-use and allows the teacher to synchronize a variety of visual aids, including his/her audio and video footage, PowerPoint slides, hand-written text, drawings, and web content. The network integrates many interactive features, such as comments, and slide-thumbnail, allowing learners to interact with the teacher and with each other, and move to the respective video content and control both the time and progress of video presentation to address their specific needs. Video presentations can be used in various on-campus and off-campus e-learning settings to provide more realistic support to learner, and create engagement. Video content is accessible via the Internet using any operating system, standard browser, or mobile device. PresentationTube is an innovative free platform for production and sharing of value added presentations for teachers, students, and business professionals. The recorder provides for synchronization of audio, video, slides, hand-written text, drawings, and web pages into a single presentation video to achieve increased engagement, effectiveness and impact. The platform allows interaction through comments and customization by the audience as they can control both the time and progress of video presentation. PresentationTube has been developed in Egypt and implemented early in 2012. Within few months it received a considerable local and international recognition from many educational organizations, universities and academicians in these countries. PresentationTube’s YouTube- API powered video sharing network now has more than 10,000 visitors a day, 5,000 subscribers, and 500 video presentations in a variety of subjects and topics. Masrawy is Egypt’s favorite horizontal portal, providing a wide array of content and services that influence day-in and day-out the lives of Egyptians, but the portal has a special focus in covering political news. Masrawy is the web’s one bus stop for Egyptians surfing the internet by providing political news content, videos channel, women content, Islamic advice services, sports content , classifieds ads, many services for the SME’s market and a dedicated channel ran through user-generated content. Masrawy has been and still a pioneer in tailoring services that add value and enrich the lives of Egyptians, for example: The First product to provide the Thanaweya Amma Results to students, “Egypt Talks” series of interviews which presented experts’ advice on Egypt’s political and social view after the revolution, being the first to exclusively online stream Obama’s historical speech at Cairo University and Masrawy chat. The portal continues to be a watchdog for the Egyptian Society. Masrawy is the Egyptian hub for a variety of news covering politics, social, sport, art and entertainment. 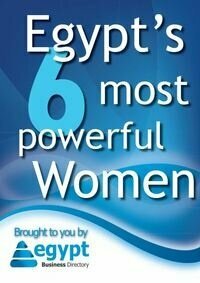 It also encompasses articles on technology, religious issues women and a number of social groups. It is very well designed and encompasses highly rich content, photos, video and dedicated channel for user-generated content. It integrates all current social media tools that enable information sharing and sending feedback. The access to the content is easy and smooth, and the design is highly clean. Furthermore, Masrawy is adopting and tailoring innovative technologies and methodologies for facilitating the navigation and access to articles and content. The portal could be considered as the hub for the Egyptian internet user as its serves the daily needs for users by providing classifieds, games, a space where users can convey their ideas and opinion in the opinion section and many other services are provided by the portal as well. Masrawy is an excellent example of portal and a good best practice to be considered in other countries. Furthermore, it seems to be very popular in Egypt.